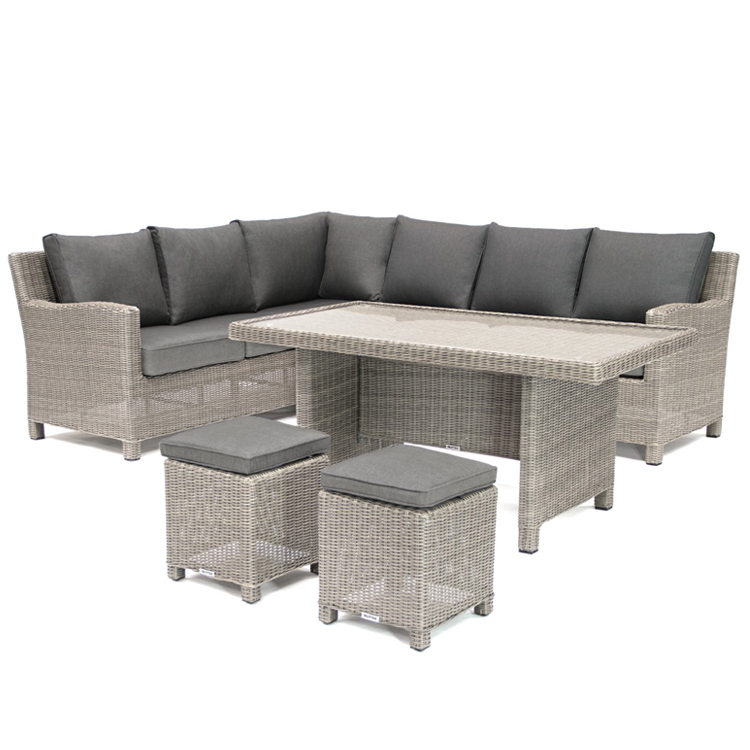 Part of Kettler’s revolutionary Casual Dining Range, this Palma Corner set includes a corner unit, glass top table and two stools allowing up to eight people to enjoy garden dining and relaxing. 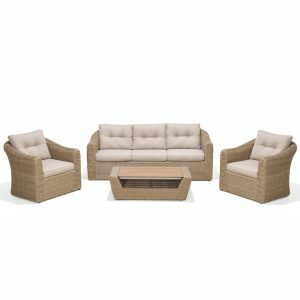 Lie down and relax on the sofa in the afternoon, then enjoy some al fresco dining with family and friends in the evening all in one stylish versatile set. 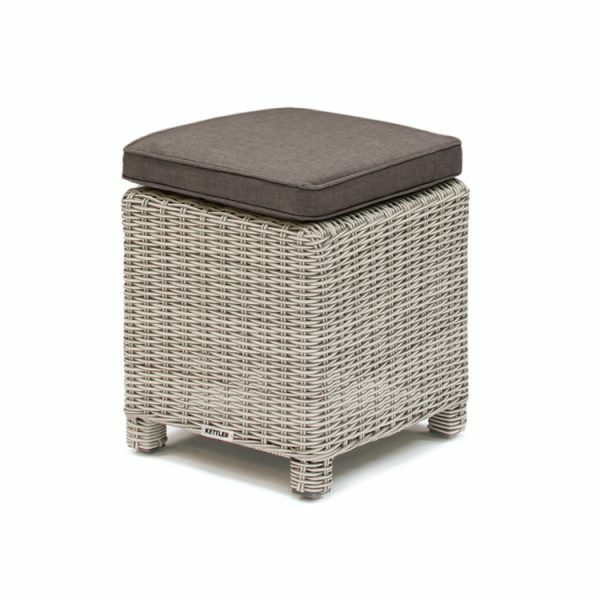 The Palma range is made from weatherproof hand woven 5mm wicker which is wrapped around a square tube aluminium frame which is three times stronger than round tube. The table is made with beautiful handwoven wicker and topped off with a glass table top which glistens in the sunlight. 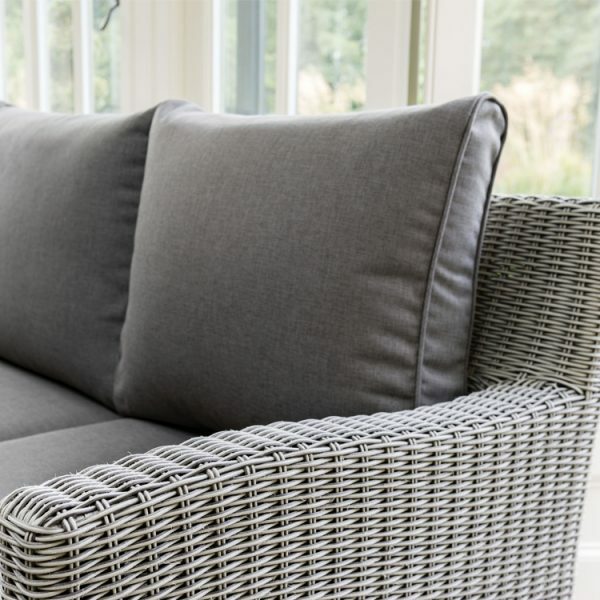 Complete with double piped taupe cushions, the final result is a luxurious comfortable corner set which is both versatile and durable. 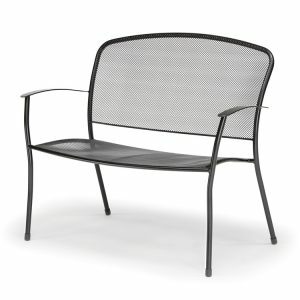 • Weatherproof, UV resistant 5mm half round wicker – leave outdoors all year round (except cushions). • Taupe 5cm foam core seat cushions. • Double piped back cushions for additional support. • Additional armchairs and stools can be purchased separately. 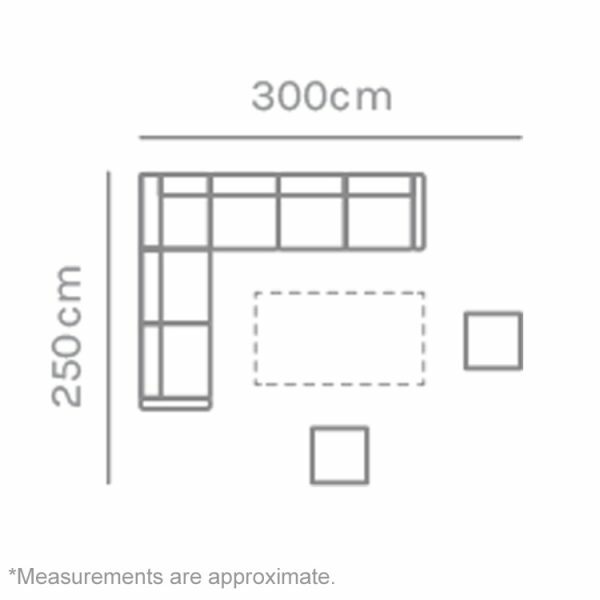 The Casual Dining range features carefully sized outdoor tables which are positioned at a lower height than regular garden dining tables. 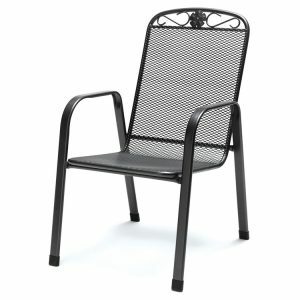 This means you can enjoy both formal and casual outdoor living by investing in one stylish garden furniture set for the whole family to spend time in the garden, whatever you enjoy doing outdoors.